The success journey of Steve Jobs from Apple orchards to present Apple iPhone 3G is truly amazing. As the Apple has many health benefits, the new Apple iPhone3G also has many Apps that could make the user experience healthier. 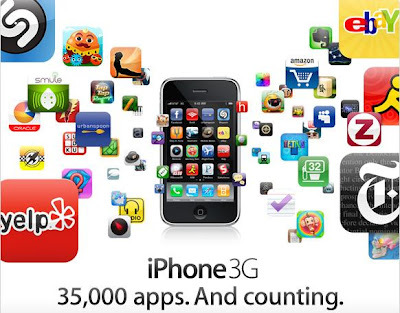 iPhone3G supports 35,000 Apps and still counting. 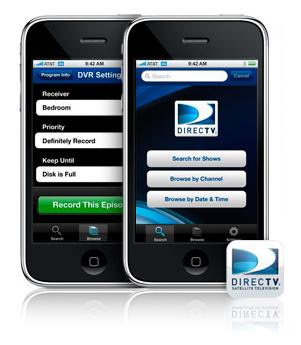 With DVR becoming so popular these days, iPhone3G has come up with this new App of the Week called DirecTV which can be very useful for all those TV buffs who always wanted to record their favorite tv shows and big games. According to Apple, with this new DirecTV app, you can use your iPhone or iPod touch to check the TV schedule, get detailed program information, set your DVR, order Pay Per View programming, record shows to any DVR in your house, and more. The app is free, but only DirecTV customers can record shows.